It's back! Starbucks is inviting all of us to celebrate Happy Hour beginning this Friday, May 4, 2012 through Sunday, May 13, 2012. 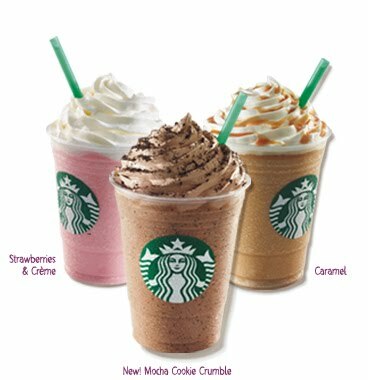 The Promotion which runs between 3 to 5 PM gives you Half-Price Frappuccinos and especially exciting this year is that there will be a new Mocha Cookie Crumble variety! Note that this is valid only at Corporate Stores.